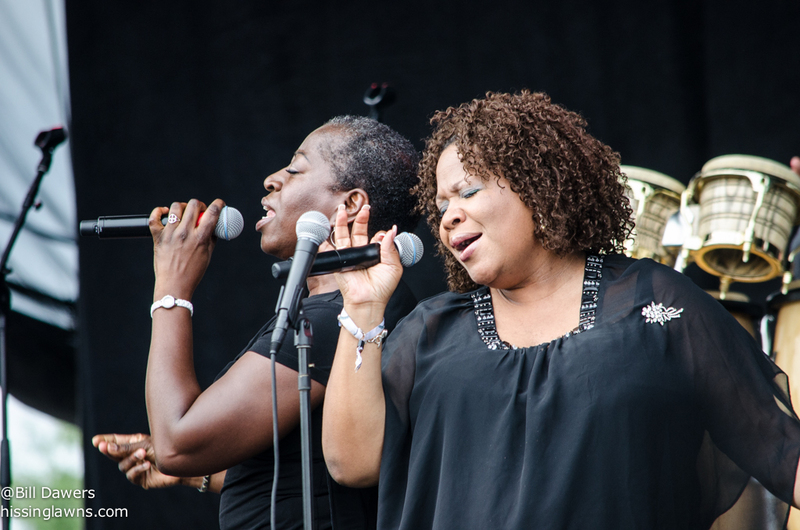 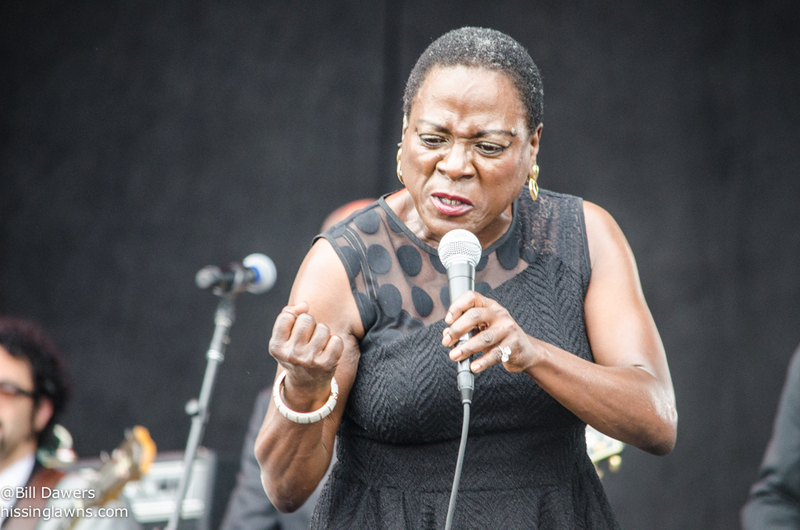 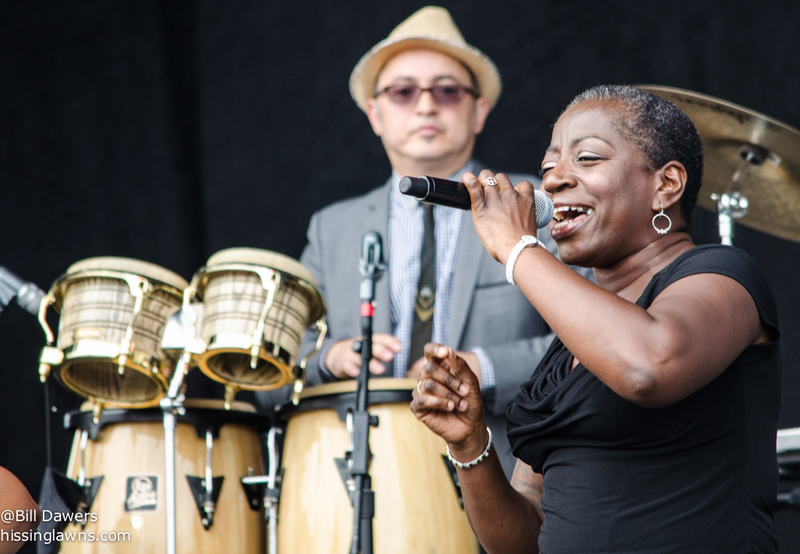 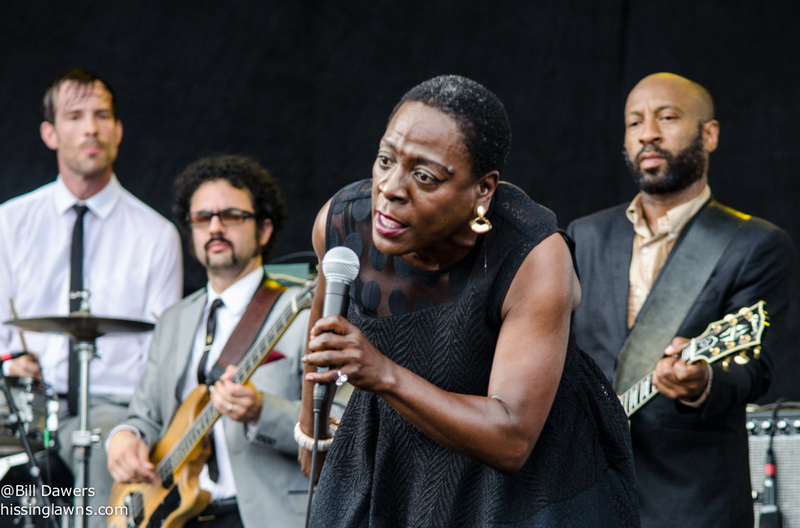 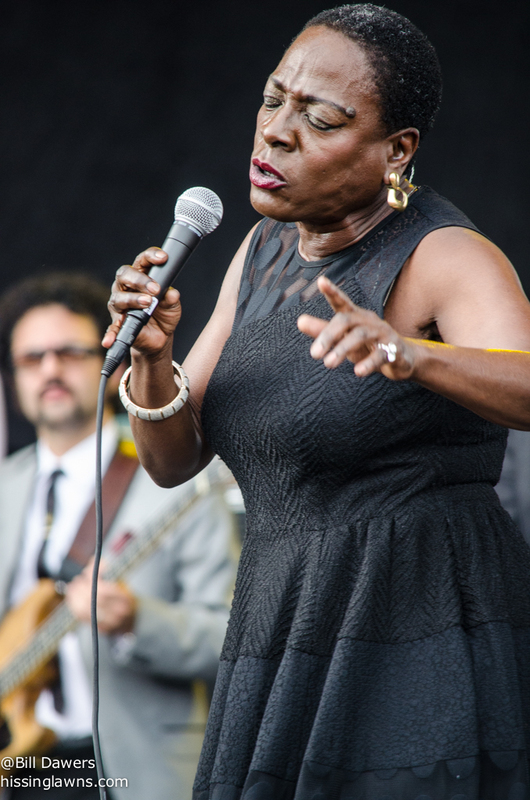 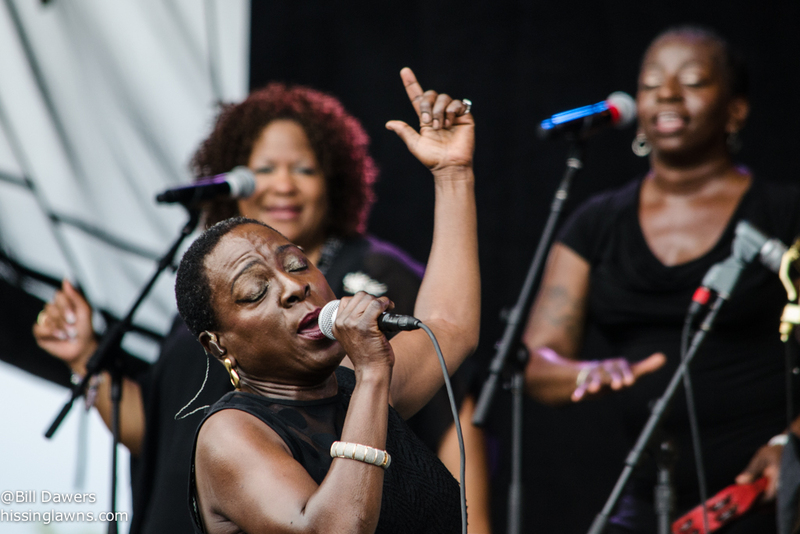 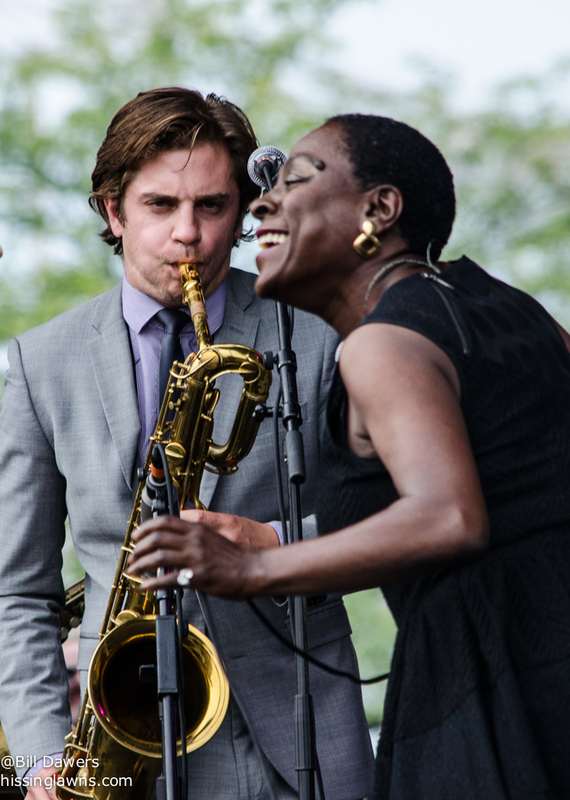 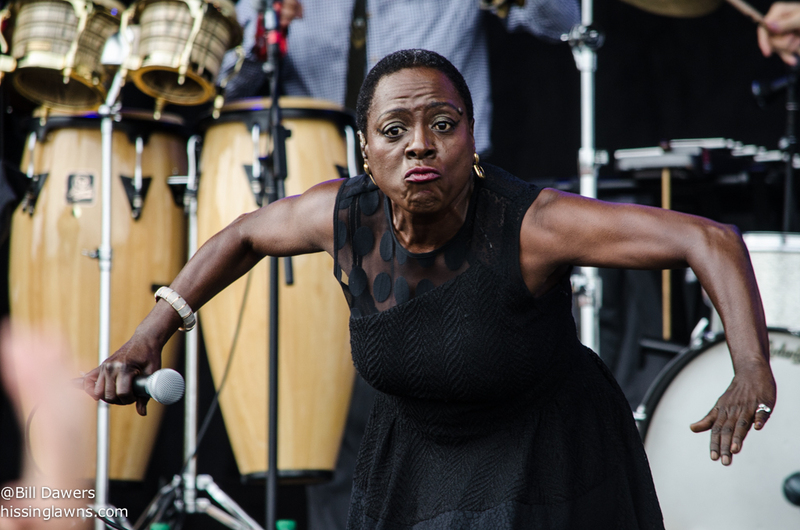 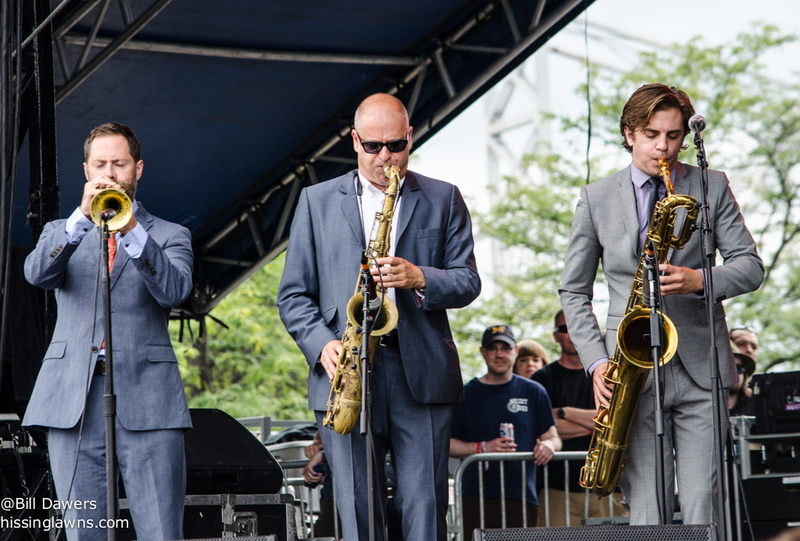 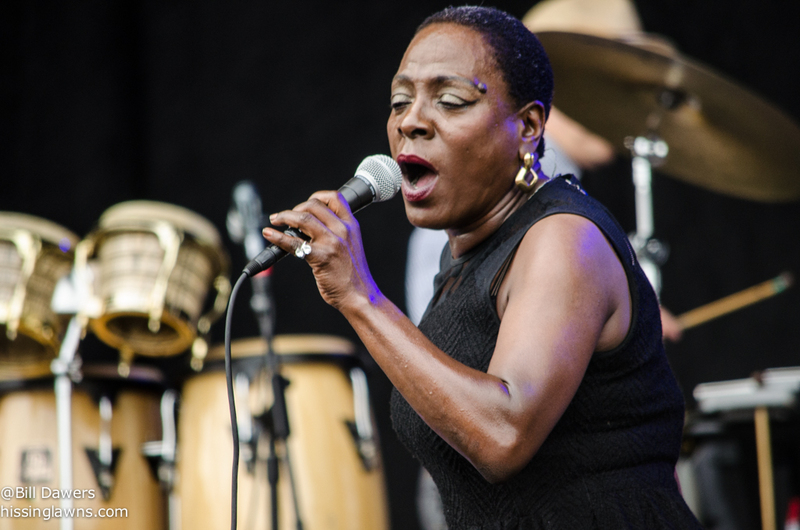 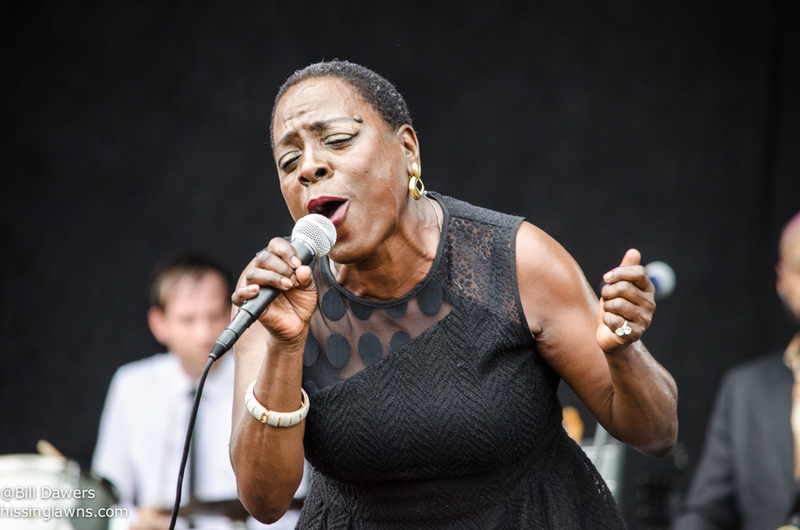 On Saturday afternoon at Forecastle Festival in Louisville, Sharon Jones & the Dap Kings brought their A game. 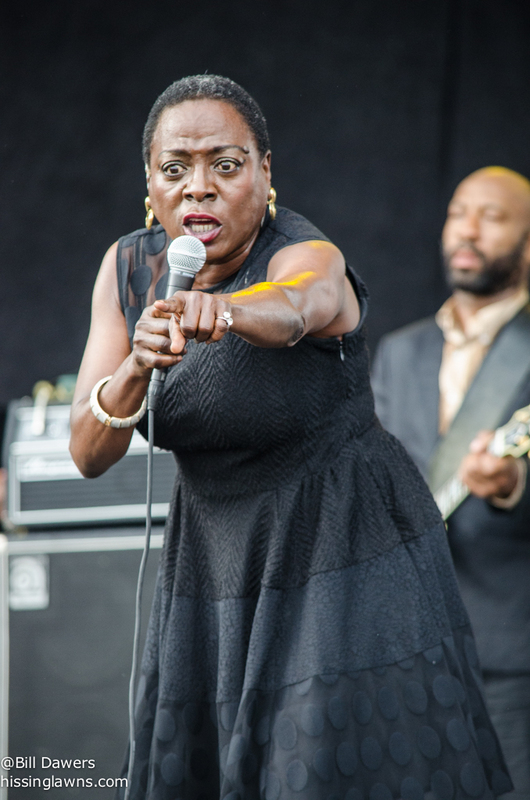 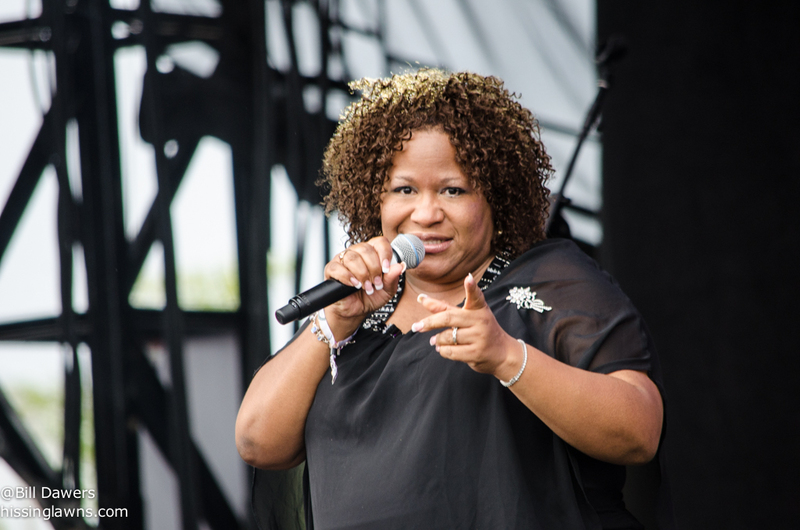 Jones kicked off her shoes, kept dropping her earrings, impersonated Tina Turner, and — as usual — sang her heart out. 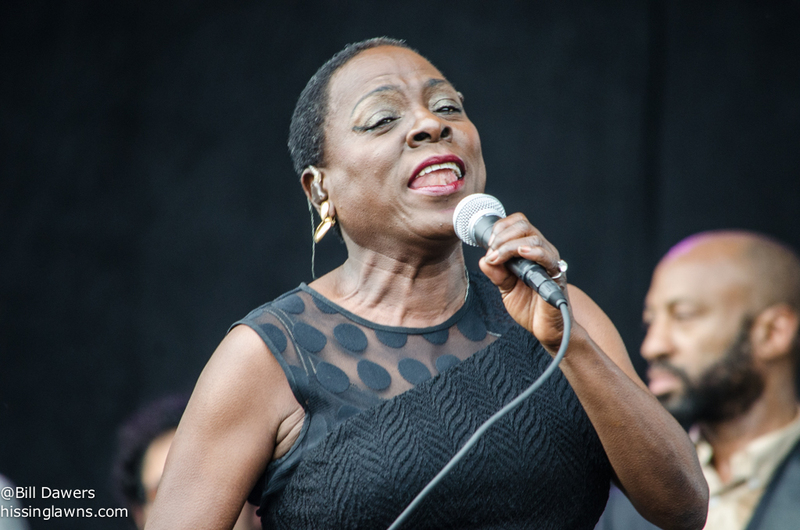 It was the last show of some extensive touring that began back around the first of the year, not long after she finished the last round of chemo for bile duct cancer. 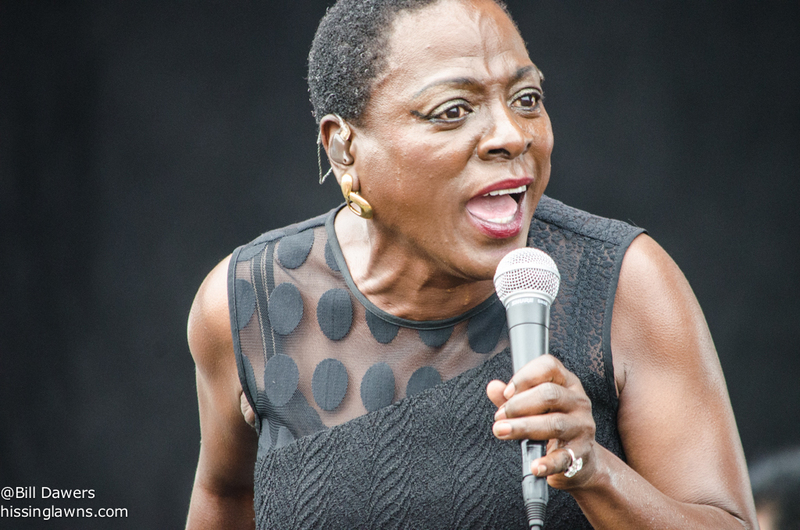 The 50-something Jones got her final treatment on New Year’s Eve and has been going strong ever since. 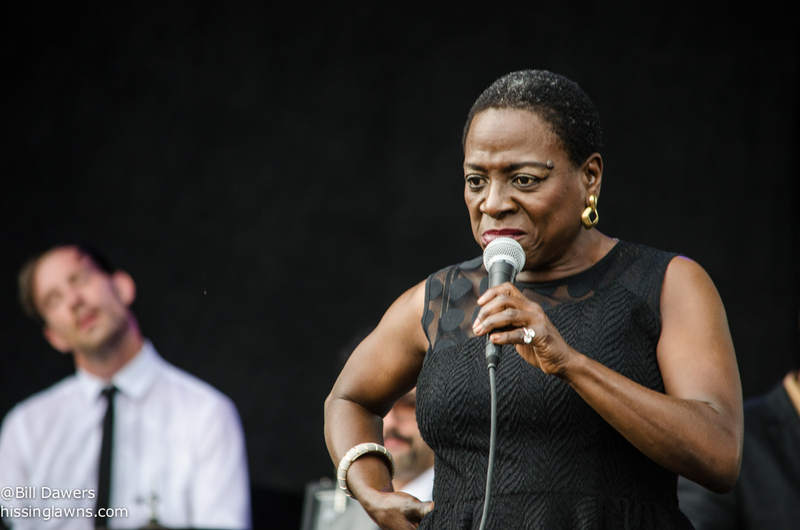 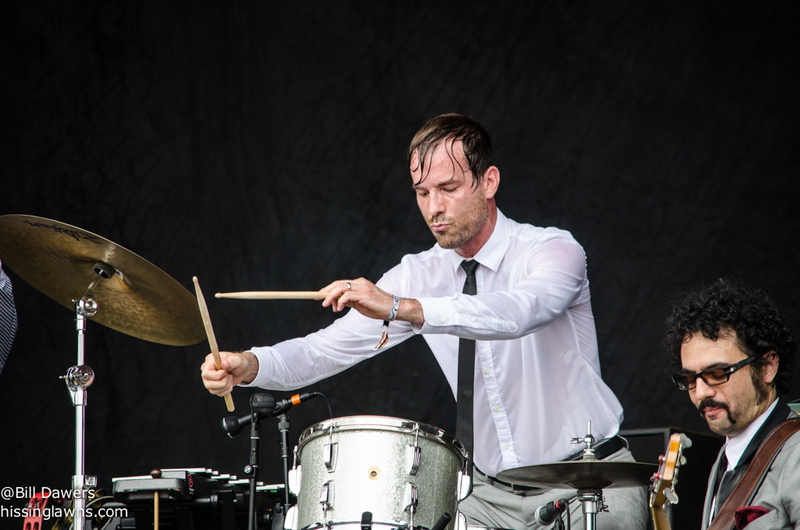 The short hair might be a reminder of the cancer but it becomes the diminutive Jones, who at Forecastle looked as much like a boxer as a soul singer. 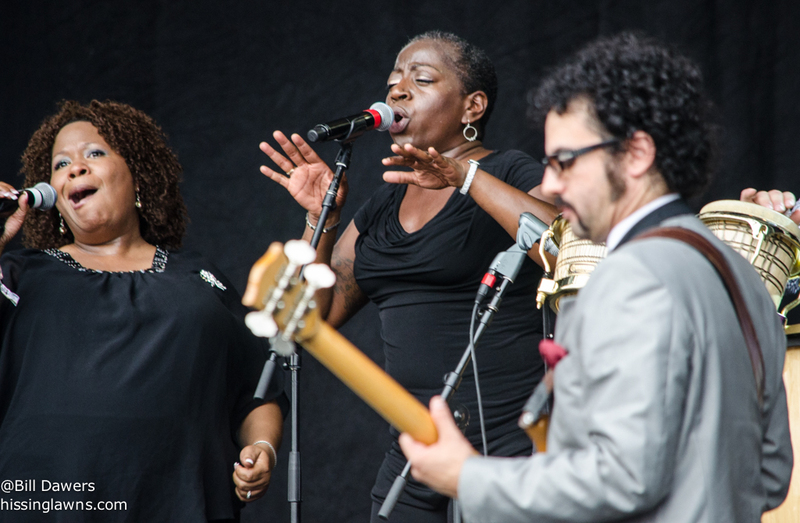 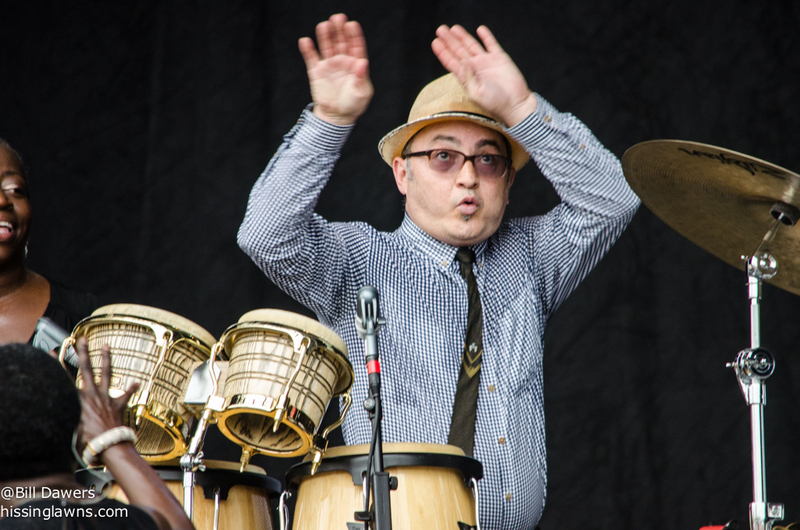 With the help of the fabulously talented Dap-Kings, Jones filled up the great lawn of Waterfront Park with energy and love. 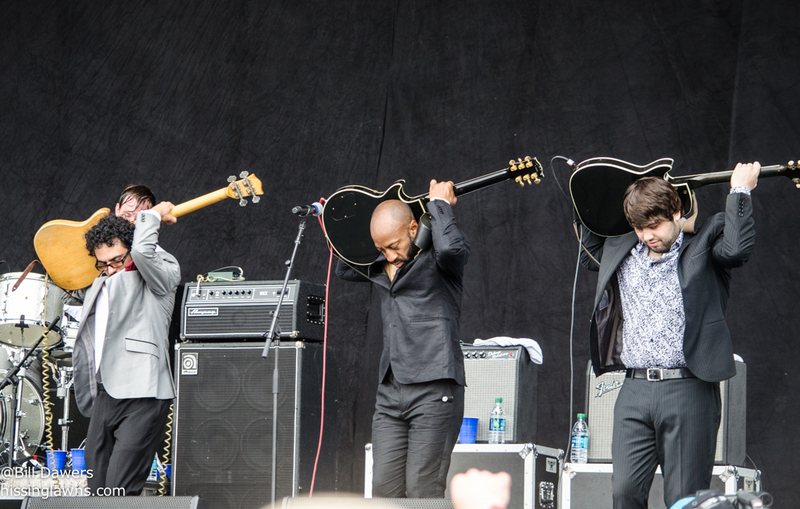 Lots more photos after the jump.